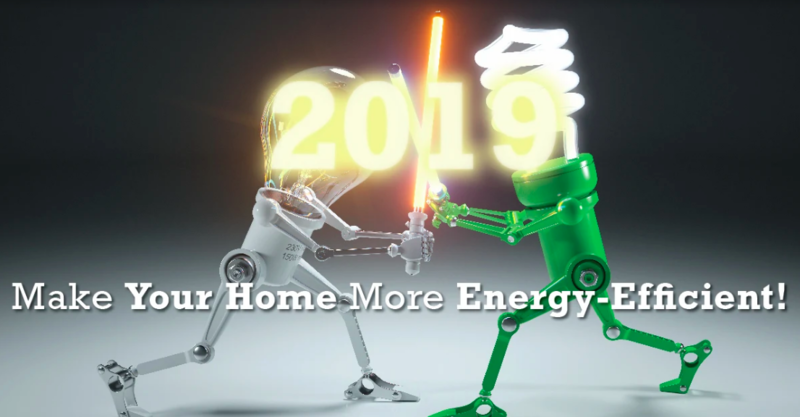 It’s a new year and a new opportunity to take stock of your energy usage, especially in Colorado, where most homes use the most energy in winter. Making your home more efficient in its necessary energy usage is a great way to save money and even help the environment a bit. Limiting vampire energy isn’t about lining your thresholds with brick powder or not inviting pale, long-toothed strangers into your home, it’s about unplugging electrical devices you aren’t using. Even if appliances like computers and TVs are turned off, they’re still sucking electricity through your wall outlets. Unplug electrical devices and appliances you aren’t using to cut as much as 10% of your energy cost. This sounds incredibly tedious, but it becomes much easier with a power strip that you can plug multiple appliances and devices into with a switch. Replacing your windows might not be the best thing you can do in the middle of winter, but windows and doors contribute to almost a third of your home’s hot and cold air staying in your home or drifting out into the neighborhood, according to energy.gov. Older windows, especially single-paned windows, let a great deal of heat through them. Newer windows are often double-paned and treated to prevent large amounts of heat or cold to pass through. Older doors can also be sieves for hot and cold air. If you’re not up for replacing your entire door, try replacing the door jamb or the strip that seals your door shut to save on your energy bills. Incandescent bulbs use between 25 and 80% more electricity to provide the same (or less) light. Replacing your bulbs in all your light fixtures is a relatively easy way to save on electrical energy costs. Many households, according the US Department of Energy save almost $75 a year by replacing their old bulbs with CFL and LED bulbs. Your walls are probably already insulated, but if it feels like you can’t get warm in your home this winter without cranking the heat, it might be worth it to have your walls checked for proper insulation. Also, make sure that your attic and other commonly not-insulated parts of your house have an extra layer of protection from the cold outside. This extra layer keeps your heat in and saves you big money over the winter. A well-placed tree or shrub can go a long way in the winter and the summer. In the winter, sunlight can get through the bare branches to naturally warm your home. In the summer, when your tree has re-grown its leaves, it can provide shade and a cooling effect for your home. It’s a new year and a new opportunity to save more money on energy. Make a few of these changes to see long-term energy savings.